This year sees MCT celebrate 10 years of parent carer conferences and Ramside Hall was once again the venue. Thursday 17th May saw us host our 20th parent carer led conference and our 1st bi annual conference of 2018. We had a wide range of speakers and information stalls including DADLG, Durham County Carers Support, Downs Syndrome North East, Little Treasures , Occupational Health, Cheesy Waffles, Rollercoaster support group, Pathways, Smoke free life, Preparing for Adulthood, Durham Police, Contact, Journey Enterprises, RSBC, Home from home care, Healthwatch and many more. 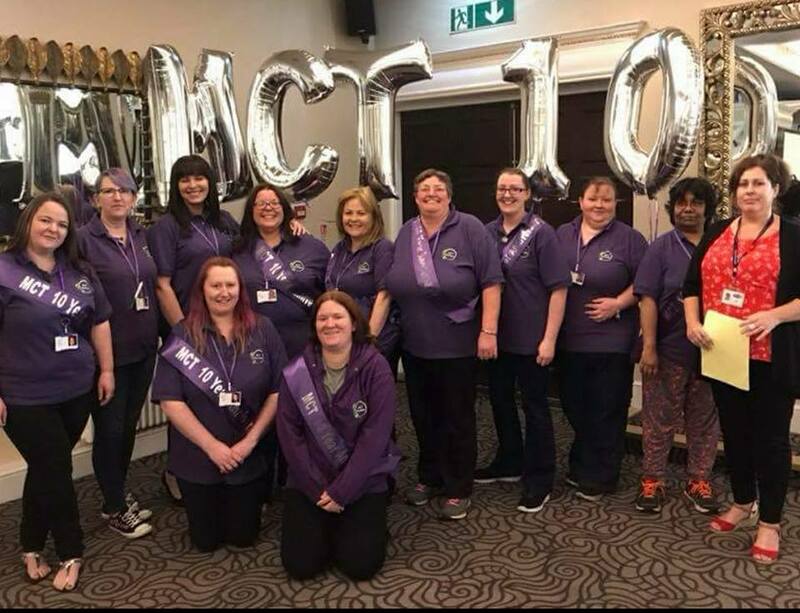 We “pushed the boat out” with balloons and sashes to make it a real celebration as we are proud of all the amazing things we have achieved over the last decade. Thank you to Ramside Hall for another fabulous conference, thank you to all MCT steering group members past and present and thank you for everyones continued help and support especially Ann Connor – we would be lost with her. Our next conference will be held in November 2018 and we will be announcing dates etc shortly.